A great and easy way to get a campfire started is by using these handy (and lightweight!) homemade fire-starters. 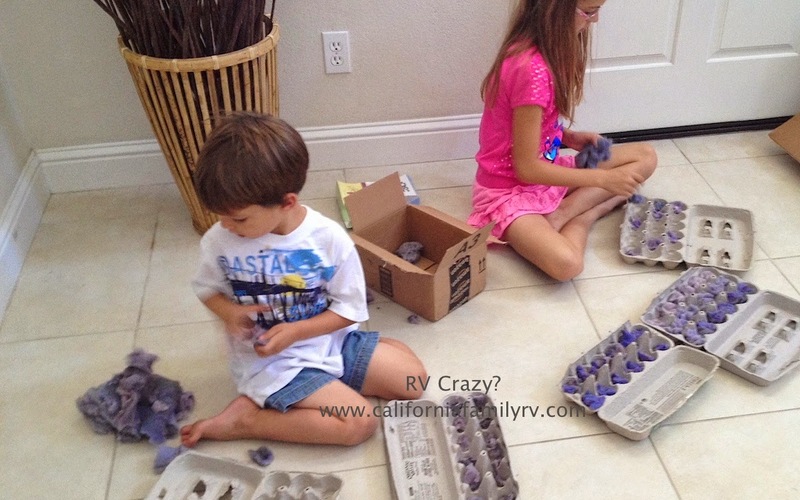 Just keep your empty cardboard egg cartons and fill with dryer lint. I keep my empty cartons right in the laundry room, and when my lint box gets full, let the kids make the fire-starters. It's a great way to get the kids involved in trip preparation, and those little fingers do a great job too. Simply place one fire-starter under your firewood and light it up. The carton flares up and creates a good, hot heat to help light your bigger pieces of fire wood.